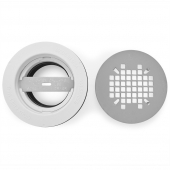 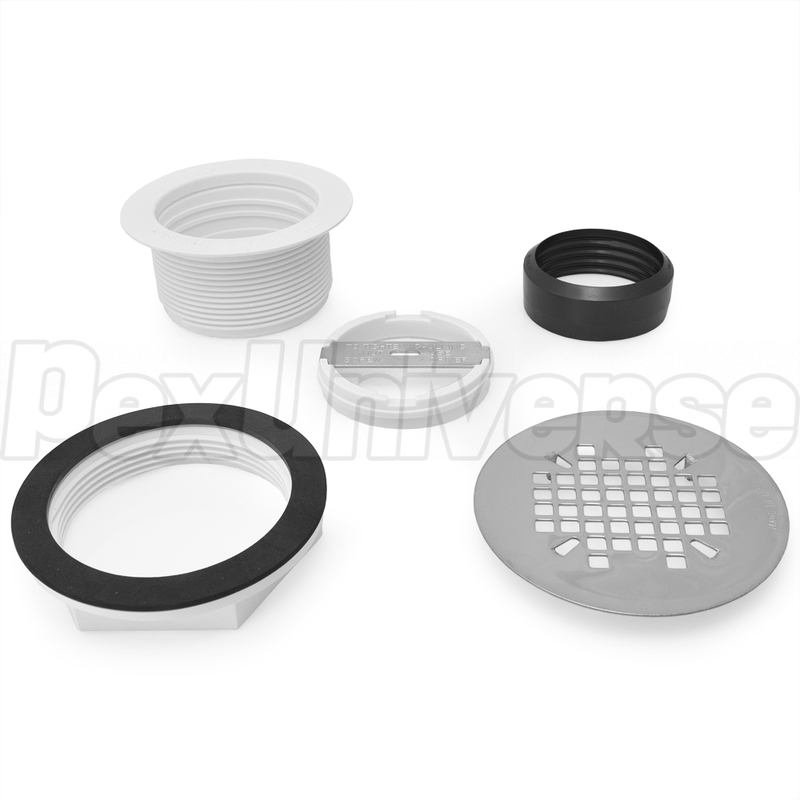 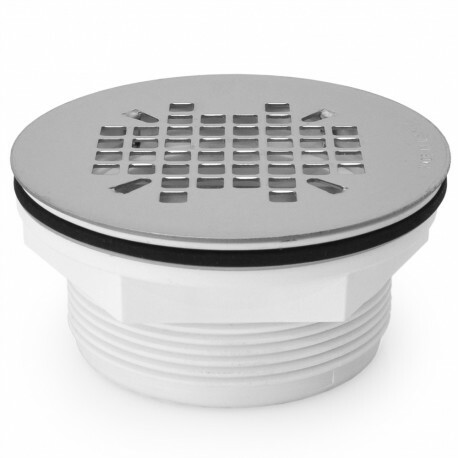 Locknut-style PVC drain with snap-in st. steel strainer, designed for use with fiberglass shower bases or one-piece shower units. 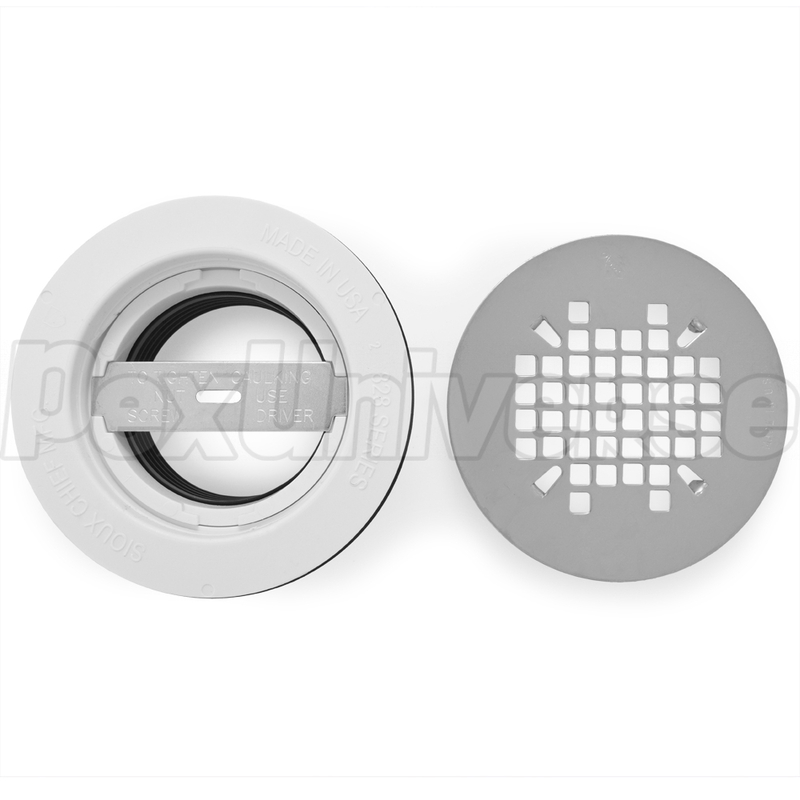 For connecting with 2" PVC SCH 40 pipe. PVC shower module drain with no-caulk gasket connection. 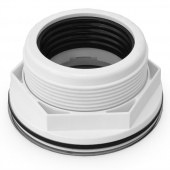 Installs over 2" PVC or ABS pipe with no glue required. Intended for installation with fiberglass shower bases, one-piece shower units or similar. 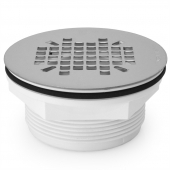 Comes with a 19-gauge, 430 stainless steel snap-in replaceable strainer.